Devon Lockwright had been hearing tales about the ruins beneath Wyldemere for as long as he could remember. He was only 17, but had an excellent mind for such things, so had absorbed most of what he'd heard - and read. In other words, even though he was still too young to grow a proper beard, he'd accumulated more knowledge on the subject than any historian in town. Devon had trouble accepting some of the more outlandish bits (most of which had been conveyed to him in hushed tones by his very dearly departed grandfather), things such as bottomless lakes teeming with luminescent fish, and great lumbering beasts sporting ivory horns studded with gemstones. But if even the most conservative of the tales turned out to be true, then there was no doubt that the underground city existed, and little doubt that its ruins stretched the length and breadth of the above ground city, its crumbling buildings filled with all manner of rare and wondrous things, items he prayed would fetch a pretty penny in the local curiosity shops. No one could agree on exactly, or even approximately, how far down the ruins went, just that they existed, that they were deep, and that layer upon layer upon layer had been raised as the centuries passed, each with its own unique history and architecture. Some called it, "Lost Town". Others, "Wyldewhen". And still others, "Wyldewhere". But regardless of its depth and name, most folks could agree on this: The parts constructed of stone and mortar, instead of wood, remained largely intact to this day, haunted, if not by spirits, then by the artifacts and treasures of a bygone age. 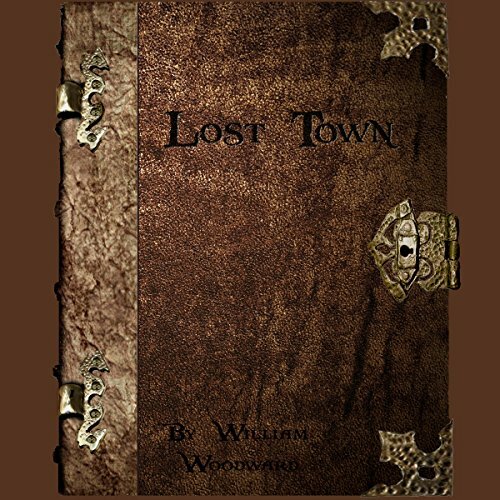 Lost Town: A Fantasy Novella Series! Devon Lockwright had been hearing tales about the ruins beneath Wyldemere for as long as he could remember. He was only 17, but had an excellent mind for such things, so had absorbed most of what he'd heard - and read. In other words, even though he was still too young to grow a proper beard, he'd accumulated more knowledge on the subject than any historian in town.